COURT SESSIONS: Tuesday at 12 p.m. for first appearances and 1:30 p.m.for contested matters with attorneys and 3 p.m. for contested matters pro se. PROSECUTOR: John E. Bruder, Esq. Our defense attorneys at LS&P Lawyers are dedicated to representing people accused of committing a crime, traffic violation, or DWI. Our team includes a DWI defense attorney with specialized training certifications in DWI defense. It is important to walk into court fully prepared and represented by experienced competent counsel. Before your court appearance we will meet with you one on one to discuss your case, possible defenses, and strategy. has over 35 years of combined Criminal/Traffic defense experience. We understand that sometimes things happen at inconvenient times, which is why we are available to speak with you 24/7 at 908-709-0500. If you have been arrested in Bound Brook or pulled over and issued a traffic violation, we are here to assist you. Why do I have to go to Bound Brook Municipal Court? The Bound Brook Municipal court tries those who have been charged with a disorderly persons offense, traffic violations, or DWI. A disorderly persons charge is considered a minor criminal offense. For example, underage drinking, possession of marijuana less than 50 grams, simple assault or harassment, or stalking are classified as disorderly persons offenses. Although these crimes are far less severe then indictable offenses such as murder they can still have major consequences if not handled properly. Penalties for a conviction of a disorderly persons offense include possible fines, fees, surcharges, loss of license, community service, and even potential jail time. The Bound Brook Municipal Court is presided over by Hon. Katherine E. Howes. She received her law degree from Seton Hall School of Law in 1989 and has served on the bench for Raritan Borough from 1991-1996. She moved to the Bound Brook Municipal Court in 2010. If you are facing legal troubles, the lawyers of LS&P Lawyers will offer you advice and unparalleled representation in court. 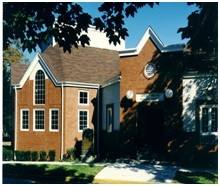 We are located at 123 North Union Ave in Cranford, NJ 07016 and can be reached at (908)-709-0500.